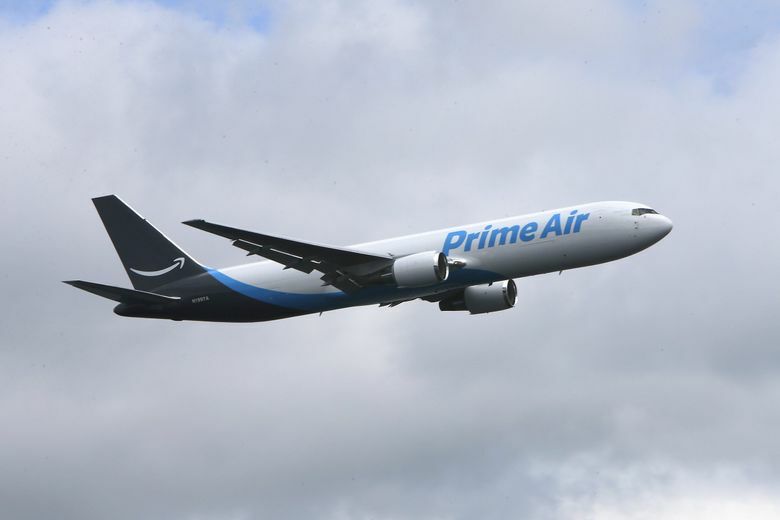 Amazon's growing Prime Air fleet of 40 cargo airplanes could grow further after one of its partners arranged to pick up 20 used 767s being retired by American Airlines. But Amazon isn't the only company shopping for these conversion candidates. Amazon has been seeking to grow its Prime Air fleet of 40 cargo airplanes, with the only barrier being the availability of used 767 passenger jets for conversion into freighters. But the tight supply of used 767s for conversion just got loosened because American Airlines, due to take delivery of new Boeing 787 Dreamliners, is retiring 20 of its 767s. Those aircraft were secured Wednesday by an Amazon supplier, opening the prospect of further super-charged growth for the online retail giant’s delivery air force. The 20 American 767s will be acquired over the next three years by Air Transport Services Group (ATSG), one of two cargo aircraft lessors supplying Amazon with its Prime Air 767 cargo fleet, the company said Wednesday. Joe Hete, chief executive of ATSG, in a phone interview declined to comment on how those planes will be deployed, citing private arrangements with his customers. But the chief executive of another leading aircraft lessor, who keeps a close eye on the air cargo market and who asked not to be identified to protect business relationships, said Amazon is the likely customer for most of the newly acquired jets. “I see the majority ending up in Amazon service,” the leasing CEO said. He added that some of the 20 American Airlines jets may be deployed as passenger jets in ATSG’s Omni Air charter service, which contracts with government and commercial customers. In that case, a corresponding number of Omni 767s, which he said have better specifications, would likely be switched out for conversion into freighters for Amazon. Charles Kauffman, senior editor with the Seattle-based Cargo Facts industry newsletter, said that demand for the used Boeing freighter jets is so hot that other customers besides Amazon will also likely be interested in leasing some of the planes. SF Express, for example, which aims to be the FedEx of China, is building a fleet of 767 cargo jets. Air Incheon of Korea and Sky Taxi of Poland are also in the market, as well as the major package delivery company DHL of Germany, Kauffman said. Hete said ATSG expects to deploy 8 to 10 more 767-300s next year, with the customers for those already identified. And he said in 2019 he’ll take the first six of the American Airlines 20, though only half of those will be converted and ready for cargo service by year end. rights to five more for 2019 deployment. The American jets will boost its fleet of leased 767-300 freighters from 39 to 59 by the end of 2021. That’s a significantly large boost to the pipeline of available cargo planes of the size Amazon needs. ATSG said it expects to begin freighter modification of six of the twenty 767s during 2019, up to nine during 2020, and no fewer than five in 2021. In just three years, Amazon has built its Prime Air fleet from zero to 40 widebody jets, half leased from ATSG based in Wilmington, Ohio, and half from Atlas Air, based in Purchase, New York. This year, industry sources say it was shopping around for six more of the aircraft. Amazon uses the big cargo planes to takes packages bound for customers to regional “sortation” centers, where workers group items going to the same area for handoff to an Amazon local delivery hub or U.S. Postal Service office for last-mile delivery. The scale of Amazon’s ambitions is reflected in its $1.49 billion investment in a massive freight hub at Cincinnati/Northern Kentucky International Airport that the airport says includes capacity for 100 or more planes. Amazon’s voracious appetite has made used 767 freighters one of the hottest commodities in the air cargo market and boosted the fortunes of ATSG and Atlas. “Our discussions with a number of customers about leasing multiple 767-300s from us for deployment in new and expanding networks give us confidence that the market will remain strong,” Hete said in an ATSG press release.